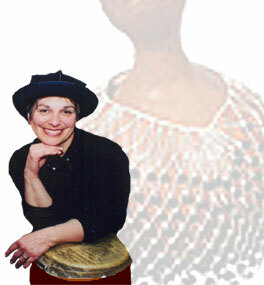 Lois Weinstein, one of Tofaah's female percussionists, moved from Philadelphia to Jerusalem with her husband and children in 1980. Whether the band is playing a Chassidic dance, pop or folk song, Lois adds a sparkling warmth and creative energy to the music and the stage, actively interacting with the audience. Her grandchildren enjoy sharing in the love of her music and can often be found at the edge of the stage, cheering her on. What is it like for you to be a female percussionist when that is still such a rare thing among Jewish musicians and in the world of Jewish music? I never really thought in terms of being a female percussionist - I'm a percussionist. But since you ask, and this is just a generalization, of course, but I think there is a difference. I really try to engage with audience. I've seen many men percussionists get totally into the zone when they play - they're into the music, which is great. But they aren't thinking in terms of the performance. As women performers, I think our approach is a bit different - we're on stage to give something over, to reach out to the audience through the music. So as I play, yes, I'm into the music, but most of all, I'm thinking of the music as performance, as giving something joyful and uplifting to the people who have come to see us. I want our music to give women love, spirituality and hope. That's a Jewish voice. Our audiences love all the many percussion instruments we use in our concerts. I think it's important to give girls, especially, good role models to inspire them to use their creativity in the right way and for older women, too. I mean, how often do they see a 65-year-old grandma female percussionist? When did you join Tofaah? Twenty years ago! I started to study singing when I was seven years old. I grew up surrounded by rich cultural experiences but I was very shy and my mother thought this would help. She was right, it did. After that, I was always performing, especially in plays. The first time I saw Tofaah perform? I was awe struck! The powerful feeling the music brings is unforgettable. I play congas and a wide variety of percussion instruments. My sister Susan was taking drum lessons with Yona. Yona was preparing a big Hannukah performance at Beit Ha'am (Gerard Bechar Center) in Jerusalem. She wanted more percussion in the band for a bigger sound and was looking for more female percussionists for the show. Sue said, "I know someone ..." and the rest is history. I also got to further my study of percussion with an amazing teacher - Yona. Is it fair to say being part of Tofaah changed your life? Oh yes. 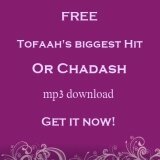 Being a part of Tofa'ah has brought me close to very special people and shown me Hashem's miracles every day. I remember one concert in particular that we performed at the Neve Tirza Prison for Women. There was a woman there who after hearing us play came up to the mic' and told us and the audience how our music had changed her life and how she really wanted to go forward and learn. By the time she was done with her story, she was crying and so were we all! 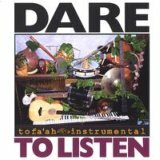 How does your music integrate with your Yiddishkeit? Listening to Tofa'ah brings my spirituality to a higher level. It is prayer at its finest.